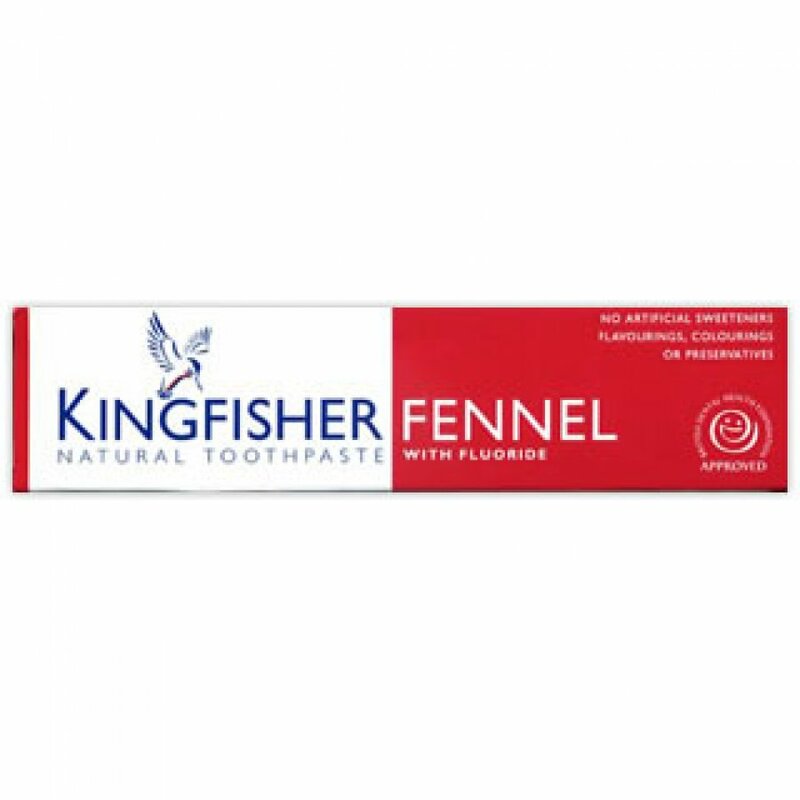 Regular brushing with Kingfisher natural toothpaste will help clean your teeth and aid the removal of plaque thus assisting you to keep your mouth and gums healthy and feeling fresh. Directions for use:Children under seven years old should use a pea-sized portion during supervised brushing. If using fluoride supplements consult your dentist. This toothpaste contains sodium monofluorophoshpate. Not tested on animals, GMO free, Contains no animal products. Calcium carbonate, glycerin, aqua, sodium lauryl sulfate (from palm oil), hydrated silica, cellulose gum, sodium monofluorophosphate, foeniculum vulgare (fennel), anethole, limonene. The Kingfisher Fennel Toothpaste 100ml product ethics are indicated below. To learn more about these product ethics and to see related products, follow the links below. Love the taste, the family have used for years. 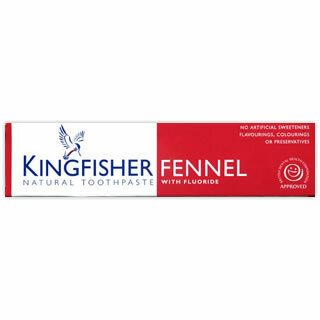 There are currently no questions to display about Kingfisher Fennel Toothpaste 100ml. Kingfisher create natural and effective toothpaste that is free from GM and is also gluten-free. Kingfisher are approved by the British Dental Health Foundation and were the first producer of natural toothpaste to gain approval. Since then, Kingfisher have continued to be named PETA's best Cruelty-Free Toiletries and Beauty Product. Suitable for vegetarians and vegans, Kingfisher toothpastes contain no artificial colourings, flavourings, sweeteners or preservatives.